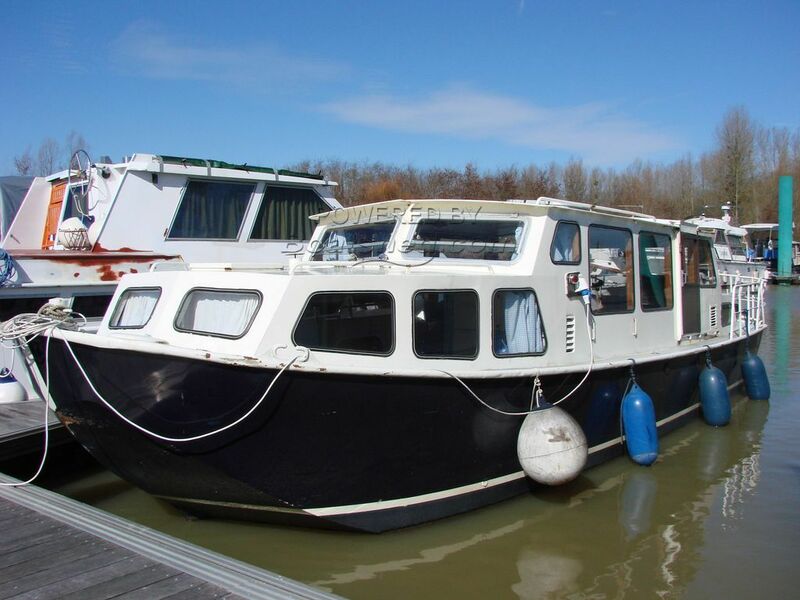 A Dutch cruiser for sale in France. Boatshed Bourgogne is pleased to offer this DOERAK for sale, this 1050 GS AK model left the Dutch yard in 1974. Basic cruiser with a central cockpit and sliding doors both sides. An easy manoeuvrable cruiser to navigate all the inland waterways. Our current owner used to live on board and has now decided to live ashore. Some works are still being carried on, the shower needs to be finished (water connexion and piping) hot water to be installed as there is none, and some other details in the finishing could be done to make it more confortable. The hull as you can see will need repaint, but after some TLC, this affordable cruiser coud be a great start for a cruising live aboard boat. Situated in a quiet marina central France, with all the services and facilities on site, in a great market town with all the traditional shops and a weekly interesting market. Not far from Lyon airport or TGV train station (Mâcon). For more information or organise a visit, please contact Graham or Magali, your local broker at Boatshed Bourgogne. This Dutch Steel River Cruiser DOERAK 1050 GS AK has been personally photographed and viewed by agent broker of Boatshed Bourgogne. Click here for contact details.